The ‘S’ verion of the iPhone 6 has a few extra bells and whistles compared with its year-old predecessor. But are they enough to tempt current iPhone users to upgrade? Is it that time again already? Every September for the past few years, Apple has chosen to hold an event which focuses around the launch of a new iPhone device. This year, we reach version six of the provisional ‘s’ line. Seen by many as a placeholder until the eventual launch of the next major iPhone milestone, the ‘s’ handset has always been the less exciting launch of the two. This year, however, Apple actually has some quite significant upgrades going on under the hood of their new device. As the first smartphone to debut Force Touch (now renamed 3D Touch), it marks an important peak into the future of UI design for the company. Those of you who are familiar with the Apple release scheduling system will already know that the ‘s’ line is more of an internal upgrade rather than a physical one. As such, when we received the iPhone 6s it was business as usual. The handset looks and feels exactly the same as the previous iPhone 6, which is no bad thing. Those who remember the ‘Bendgate’ disaster will also be happy to know that it is now made from a newer 7000 Series aluminium casing, which should hopefully be more resistant to the dreaded design flaw that plagued a few of the earlier devices. It feels incredibly comfortable in the hand with the curved edges providing a lovely grip. Apple has forgone Gorilla Glass in the new model and opted for their own Ion X glass. This material was previously used on the Apple Watch and is supposedly stronger than what Cornering are currently doing. It’s ever-so-slightly thicker than last year’s model and a bit heavier but it’s incredibly hard to notice even when comparing them side-by-side. It’s worth noting that despite the extra thickness, existing cases will fit the new iPhone 6s without any need for adjustment. Apple spent a lot of the conference talking about how its camera tech has improved compared with the previous generation and while that’s mostly true, the jump isn’t quite as obvious as expected. Make no mistake, the new 12 megapixel iSight camera is still a fantastic shooter but it doesn’t offer much over the previous iPhone 6. Photos on both devices are very similar, with the iPhone 6s only edging ahead slightly on overall detail and contrast. For the average smartphone user, they likely won’t notice any difference between the two in daylight pictures. Night scenarios are a different matter altogether, with a huge jump in quality over the previous iteration. Objects were generally much more visible and detailed without any additional gain noise. job of compensating. It’s also nice to see the inclusion of sapphire glass on the lens, which should help to protect it from scuffs and scratches. 4K is a standout feature on the iPhone 6s, though oddly it’s disabled by default. We can only assume that Apple has done this in an effort to help the regular conserve memory, as a typical 4K video will eat through the 16GB model in mere minutes. The omission of optical image stabilisation on the iPhone 6s (it’s available on the larger 6s Plus) is a big disappointment and it makes videos noticeably jerky at times. The excellent 5 megapixel front camera from last year has also be given a rather innovative improvement, using the screen as an actual flash. When in the use, the screen will flash twice. The first is used to calibrate the perfect colour tone for the scene, while the second flash is a little brighter and actually illuminates the shot. It’s an interesting idea, though it’s not really applicable for dark scenes. The screen just can’t get as bright as an LED flash and it seems more tailored for selfie use above anything else. The iPhone 6 already had a fantastic screen and we’re pretty sure that Apple has gone for the same panel in the iPhone 6s. Putting them side-by-side, there’s little to discern last year’s efforts from the new release. That means you’re getting the same 4.7-inch screen with its unique 1334 x 750 resolution, which equates to 326 pixels-per-inch. Compared with the Quad HD panels that now adorn most flagship Android devices, the resolution is starting to seem a bit measly on paper. The reality is that anything above 300ppi is good enough to avoid pixilation and Apple has instead focused its efforts on other parts of the overall screen design. In terms of color reproduction, this is still one of the most accurate panels you can find on a smartphone. It’s also one of the brightest screens available, making sunlight readability a major strength in its arsenal. Using the front screen as a flash is an interesting idea, though it did feel a little overbearing at times. Performance is one area where the iPhone 6s really excels versus last year’s model. It uses the new 1.84 GHz A9 chipset, which performs well despite still only being a dual-core. The chip uses a smaller fabrication process to squeeze out more power, with Samsung and TSMC handling the manufacturing. Users have reported that the phone can get unusually hot in operation though we were not able to replicate the issue during testing. It’s also had a RAM upgrade to 2GB, though Apple was understandably hush hush about this as the average Android device now ships with double that. Overall benchmark scores were excellent on the iPhone 6s, showing a strong improvement. Single-Core speed is more than 30% faster than any other smartphone currently available, which is a testament to the engineering team. Even with only two physical processor cores, it manages to come out top on the multi-core tests, beating current king, the Samsung Galaxy S6 Edge. Running the latest version of iOS 9, the experience is remarkably smooth and fluid. Once applications are cached and in memory, switching between them is near instantaneous. The new operating system adds a few new features such as a ‘Siri Suggestions’ page on the home screen, which can be accessed by swiping to the leftmost window. It acts like a cross between Google Now and Cortana, proving recent contacts and apps while also displaying news content that it thinks is relevant to you. App switching has also undergone an improvement with larger page displays, while notifications are now sorted chronologically. Of course, the big feature in the iPhone 6s is 3D touch and it works brilliantly, adding a whole new level of interactivity. Some of the functions are pretty well hidden, meaning a bit of experimentation is needed to actually discover them. You also need to apply a fair bit of pressure for it to register, rather than a cautious press like I was first attempting. Peak is possibly the most useful feature to be included and could totally change the way I browse the UI, allowing quick glances of emails, song info… Pretty much anything. The battery on the new iPhone 6s is 1715 mAh which is roughly 100 mAh less than the previous iPhone 6. The surprising drop in juice reflects in the benchmark test, which is slightly lower. It scored a middling 5 hours 40 minutes, which is pretty average and no better than the previous generation. This area has never been a strong point of the iPhone series so it’s not really a surprise. Those looking to take the handset on long trips will also need to invest in a powerbar since the battery is once again non-removable. Apple is at a difficult point in its life. When you’ve been at the top for so long, people almost expect every product to innovate and break records. While the iPhone 6s definitely tries in those fields, not everything is perfect this time round. It’s an amazing phone to be sure, but what interests me more is where it takes the technology in future iterations such as theiPhone 7. 3D Touch has the potential to be a game-changer and I’m eager to see what happens further down the line. The iPhone 6s may not offer that much to warrant an immediate upgrade but it still has enough new features to welcome new adopters to the platform. Force Touch genuinely works well and has plenty of future potential, while the hardware and low-ligh camera improvements make this more than just a simple cash cow. 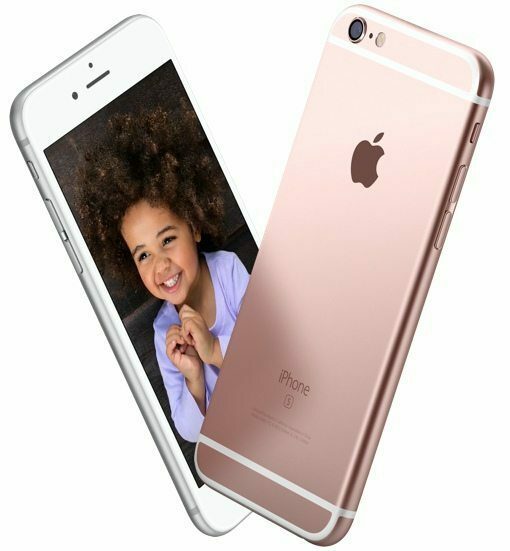 Love ’em or hate ’em, the iPhone 6s is another big hit for Apple. Processor 1.84 GHZ Dual Core Apple A9.